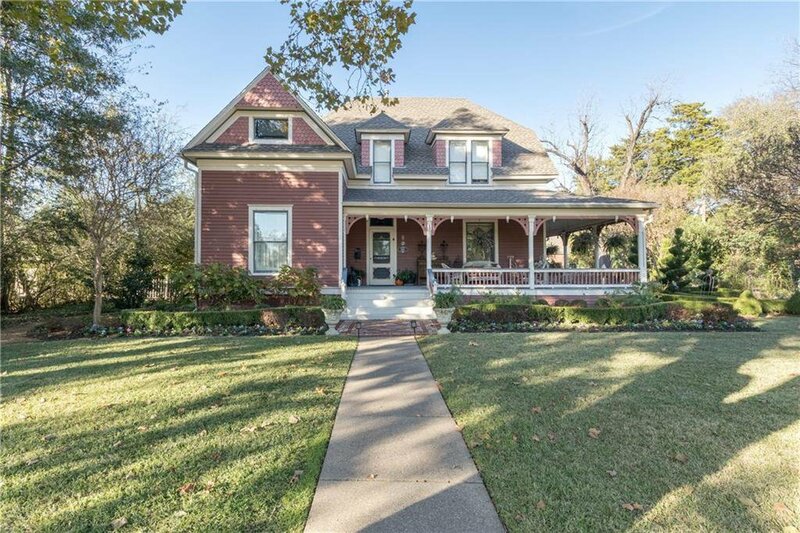 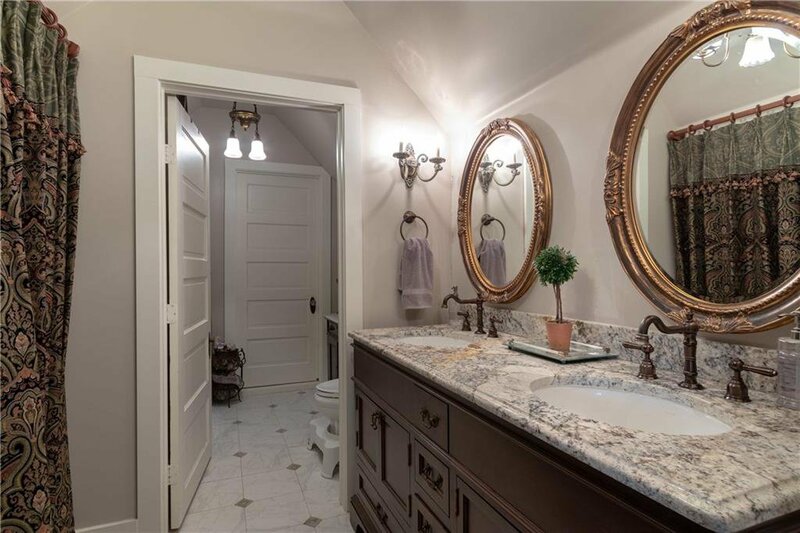 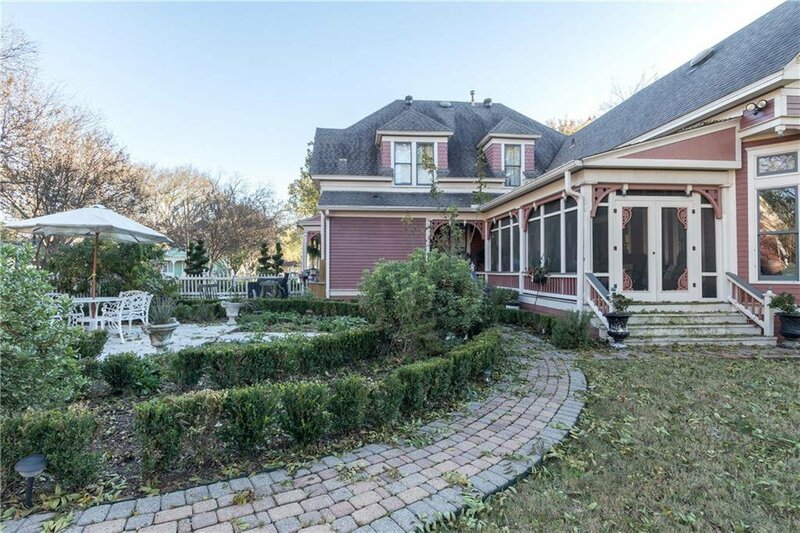 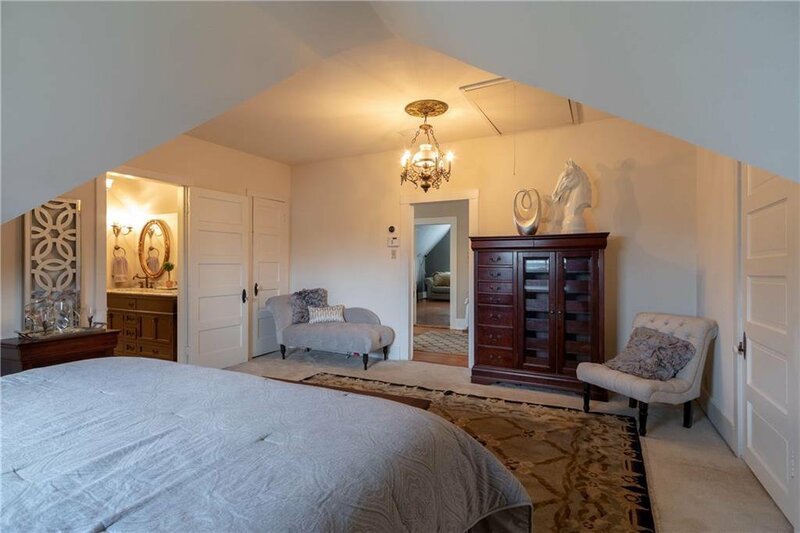 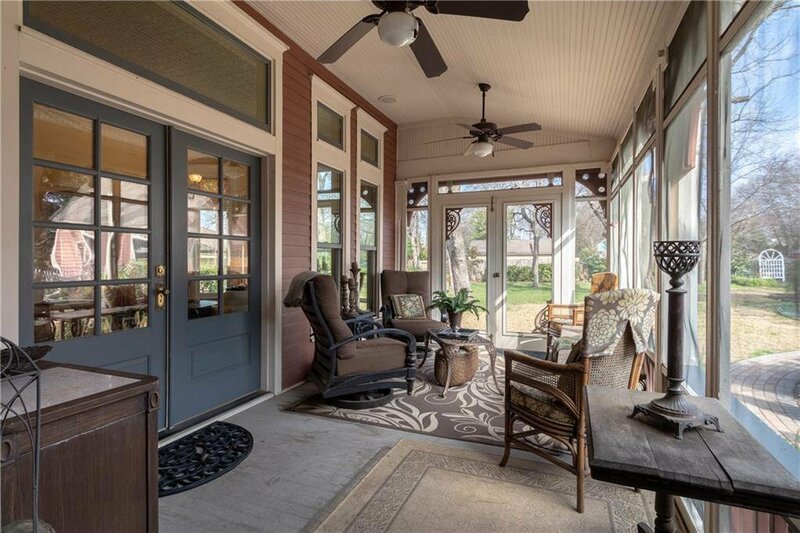 Coveted McKinney Historic District, restored & updated Victorian Farmhouse! 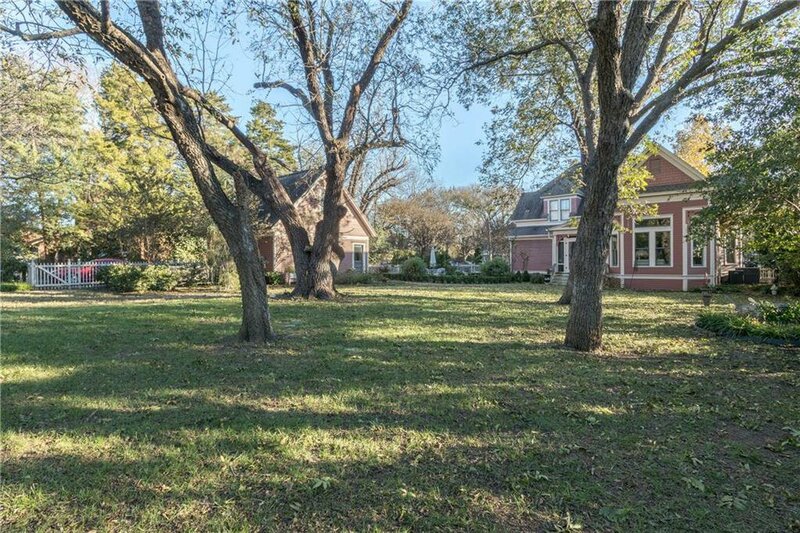 .54 Acre Lot with lovely gardens, patios, big play yard, screened porch overlooking the backyard ~ previously on McK Garden Tour. 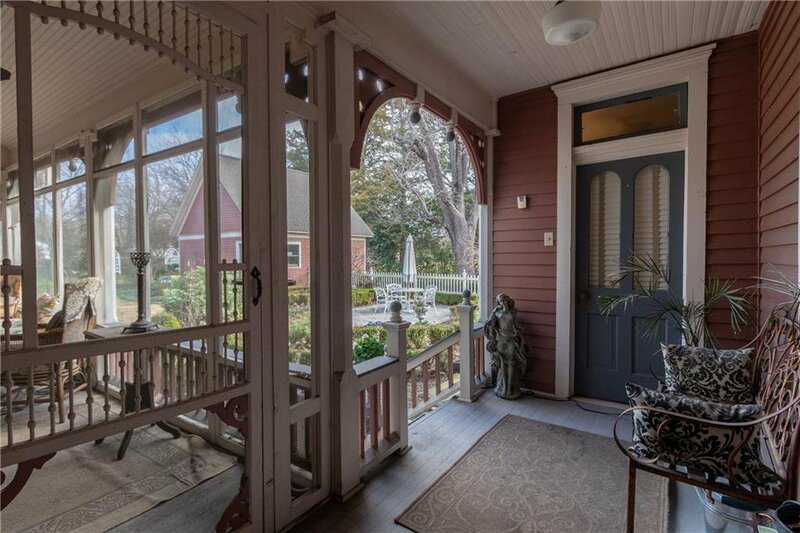 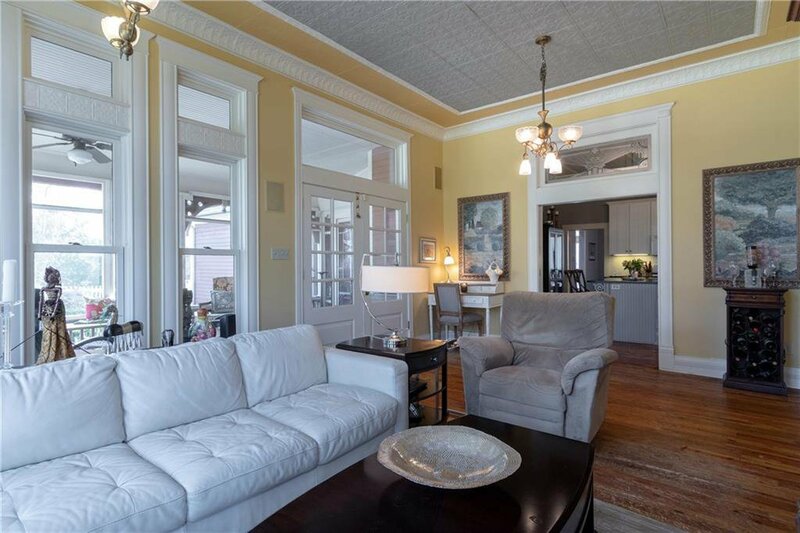 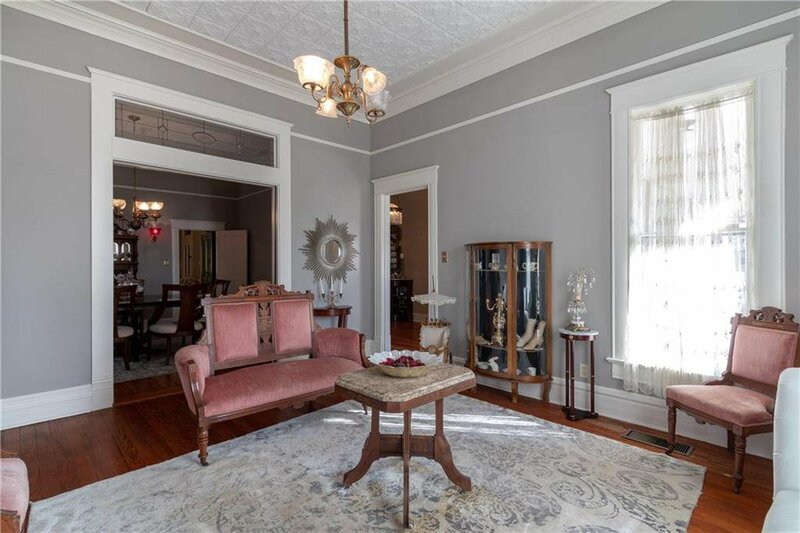 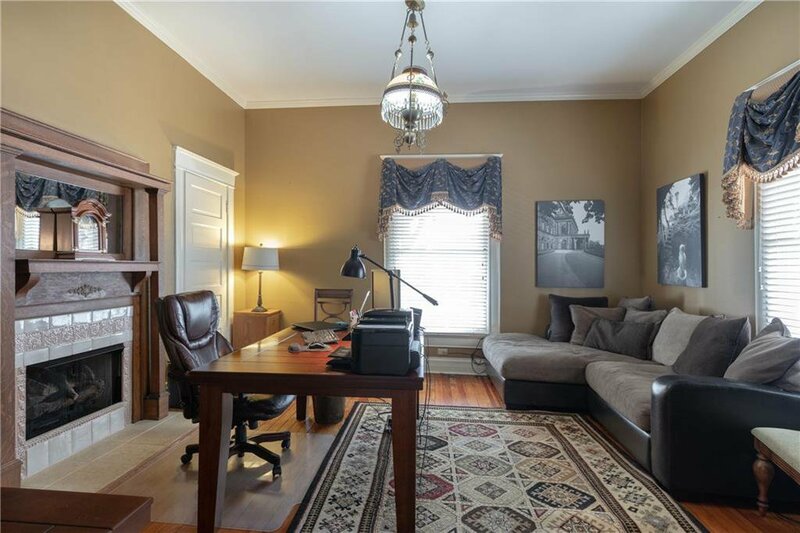 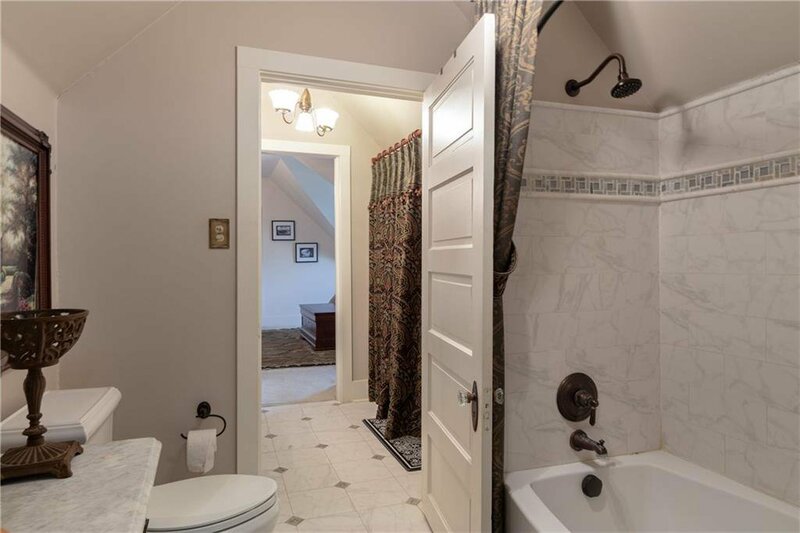 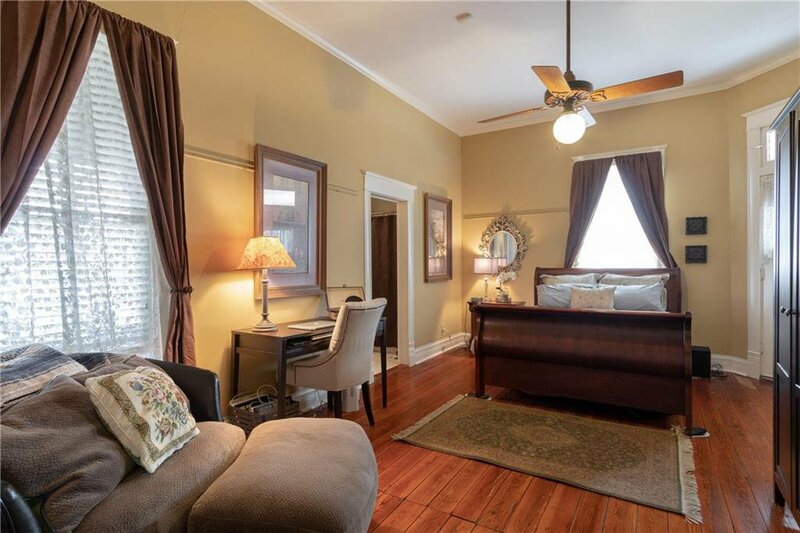 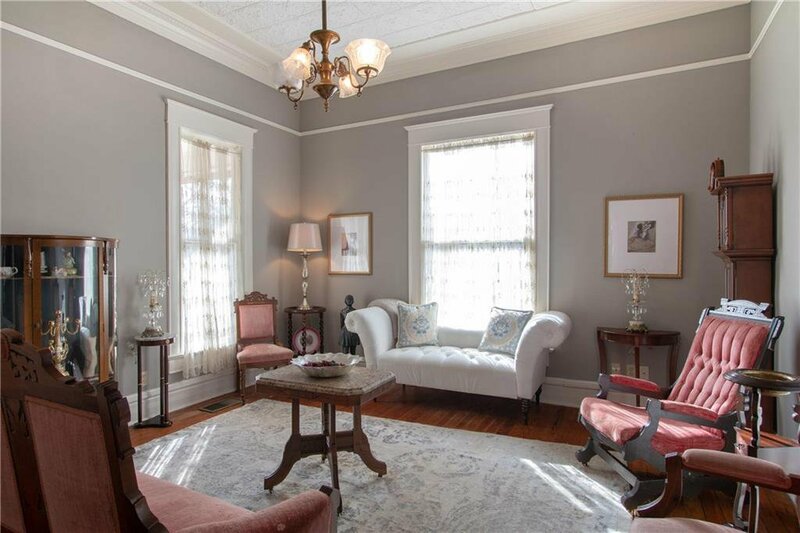 Home boasts extensive original pine floors, beautiful turn-of-century ceiling treatments, vintage light fixtures, antique pocket doors, abundant stained glass windows & millwork, 3 living areas, gas log fireplace. 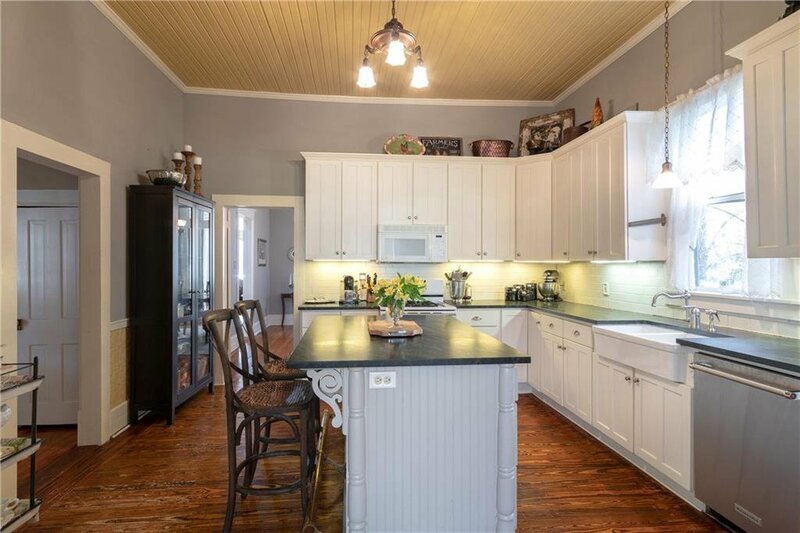 Updated kitchen + 3 baths. 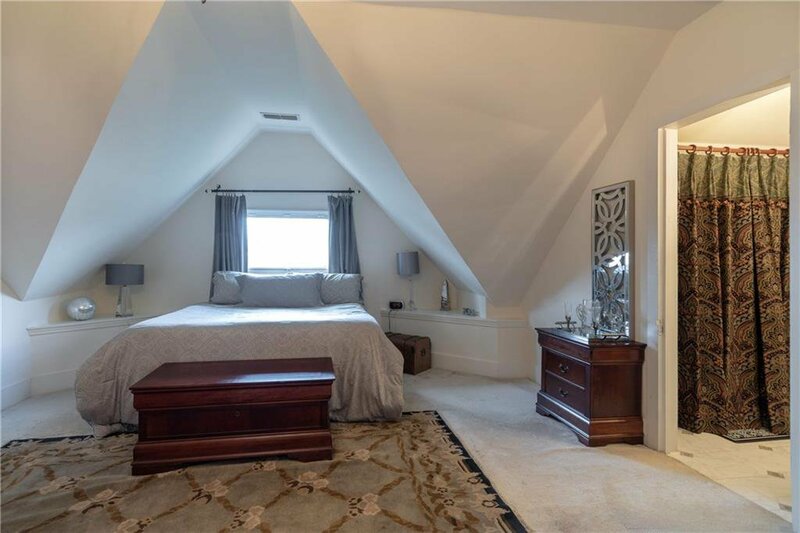 1st floor study could be 4th bdrm. 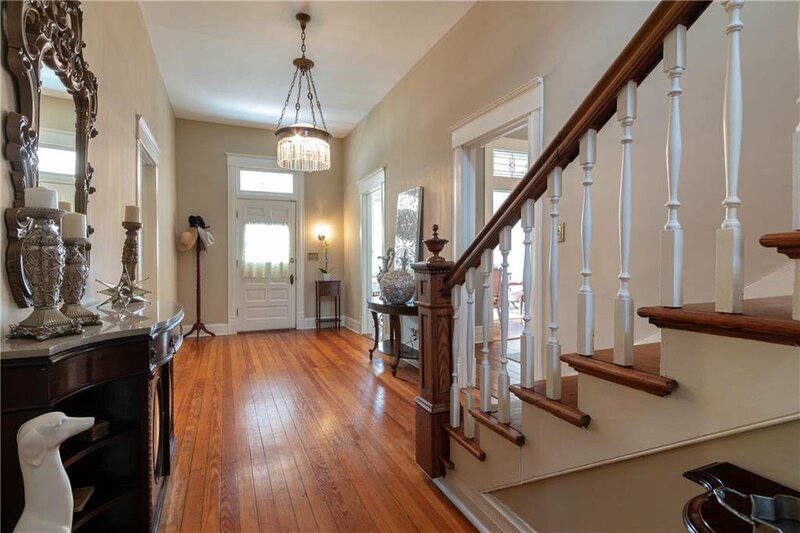 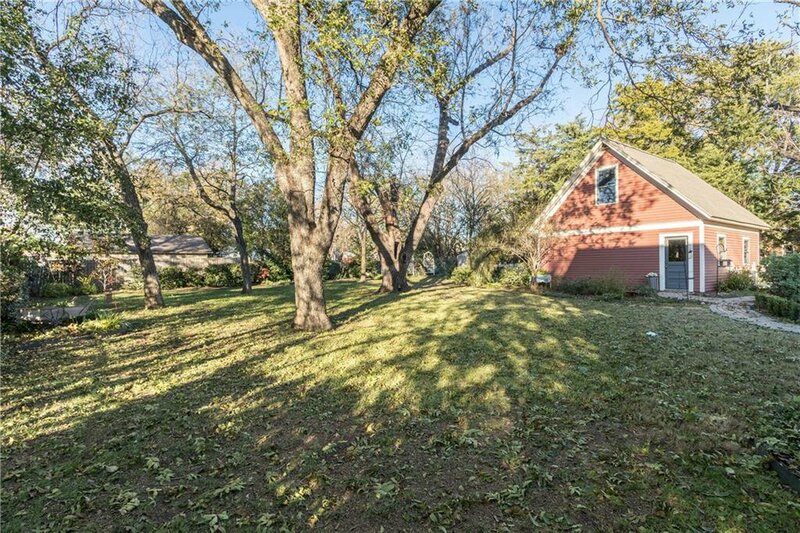 Charming wrap front porch & detached garage with huge attic too!